Dvaita and Advaita are two divergent schools of Vedanta philosophy in Hinduism which interpret reality and the relationship between Brahman, the Supreme Universal Self, and the rest of His manifestation differently in terms of duality and non duality respectively. According to the former (Dvaita) Brahman and His creation are existentially and fundamentally different and according to the latter (Advaita) the difference is only in our perception and understanding since all is Brahman only and nothing else. Putting it differently, the question these two schools try to resolve is whether the distinction between the subject and the object, or the knower and the known is permanent and real or a mere illusion arising from the limitations of the senses and of the mind. Standing in between these two in terms of a compromise is the third schools known as Visistadvaita, which acknowledges notional distinction, called bheda-abheda (different from not different). The questions that everyone may grapple with at some point in their lives is "Am I different from who I think I am?" and "Is my experience real or my imagination and interpretation only?" Well, if you can answer these questions to your full satisfaction, perhaps you can resolve the difference between your Self and the Supreme Self. These distinctions and discussions make sense only if you acknowledge the existence and eternal and fixed entity in the flux of phenomena. For the Buddhists the problem resolves itself because Buddhist does not acknowledge the existence of permanence in any form at all, except perhaps as emptiness or void (sunya). For the Jains the world is permanently and existentially different because it is devoid of God but filled with countless individual souls in varying degrees of purity and impurity. In the following paragraphs we will step into the shoes of Vedantins and examine the essential nature of reality and existence in terms of non duality and duality. At the most fundamental level, the universe is not just a physical or material entity, but pure consciousness of unfathomable power, having the ability to create, maintain, conceal, augment and destroy objective universe at will without effort or a specific intent. We identify this supreme consciousness of infinite capacities and unfathomable mysteries as Brahman. Being rooted in the sensory knowledge and limited by its own ignorance, human consciousness does not have the ability to comprehend or estimate the powers of Brahman beyond the domain of the senses, or realize the purpose of its own existence. The human mind does not belong to the domain of the spirit but of Nature. Since it is in the field of human awareness, veiled by its power, an individual soul temporarily becomes disconnected from its own identity, its absolute state, which is Brahman, as if a drop of water from a vast ocean is lifted from its surface momentarily and disconnected from its source. For the separated soul, which comes under the influence of Prakriti and assumes a material body, the available means path to merge with Brahman or its own absolute consciousness is through the paths of devotion, moral living, following the eight-fold path of Ashtanga Yoga meditation, often expressed in various systems of spiritual practices known as yogas. If one seeks Brahman via true knowledge, Atman seeks truth and accepts it no matter what it is. Atman accepts all truths of the self/ego, and thus is able to accept the fact that it is not separate from its surroundings. Then Atman is permanently absorbed into Brahman and become one and the same with it. This is how one forever escapes rebirth. In Advaita Vedanta, Brahman is without attributes and strictly impersonal. It can be best described as infinite Being, infinite Consciousness and infinite Bliss. It is pure knowledge itself, similar to a source of infinite radiance. Since the Advaitins regard Brahman to be the Ultimate Truth, so in comparison to Brahman, every other thing, including the material world, its distinctness, the individuality of the living creatures and even Isvara (the Supreme Lord) itself are all untrue. When man tries to know the attributeless Brahman with his mind, under the influence of an illusionary power of Brahman called Maya, Brahman becomes God (Isvara). God is Brahman under Maya. The material world also appears as such due to Maya. 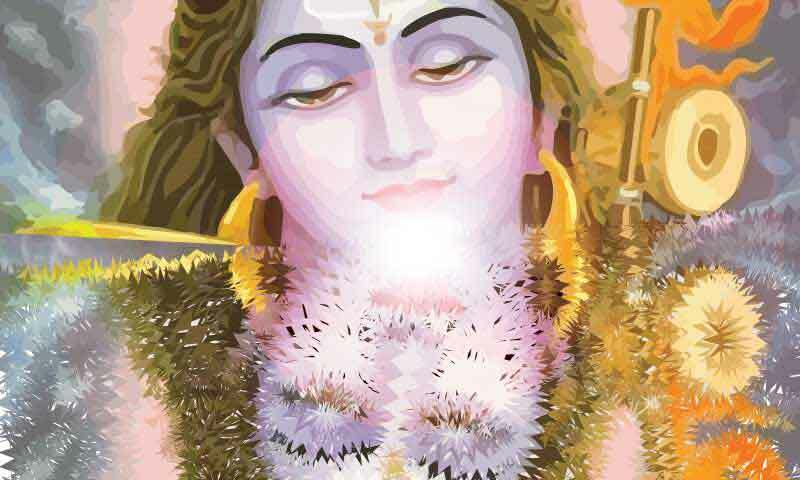 God is Saguna Brahman, or Brahman with attributes. He is omniscient, omnipresent, incorporeal, independent, Creator of the world, its ruler and also destroyer. He is eternal and unchangeable. He is both immanent and transcendent, as well as full of love and justice. He may be even regarded to have a personality. He is the subject of worship. He is the basis of morality and giver of the fruits of one's Karma. He rules the world with his Maya. However, while God is the Lord of Maya and she (i.e., Maya) is always under his control, living beings (jiva, in the sense of humans) are the servants of Maya (in the form of ignorance). This ignorance is the cause of all material experiences in the mortal world. While God is Infinite Bliss, humans, under the influence of Maya consider themselves limited by the body and the material, observable world. This misperception of Brahman as the observed Universe results in human emotions such as happiness, sadness, anger and fear. The Ultimate reality remains Brahman and nothing else. The Advaita equation is simple. It is due to Maya that the one single Atman (the individual soul) appears to the people as many Atmans, each in a single body. Once the curtain of Maya is lifted, the Atman is exactly equal to the Brahman. Thus, due to true knowledge, an individual loses the sense of ego (Aham-kara) and achieves liberation, or Moksha. Also see Advaita Vedanta. Dvaita (Vaishnava) concept Vedanta Sutra 3.2.23 states, 'tat avyaktam aha' - 'The form of Brahman is unmanifested, so the scriptures say'. The next sutra adds, 'api samradhane pratyaksa anumanabhyam': 'But even the form of Brahman becomes directly visible to one who worships devoutly - so teach the scriptures' (api - but, samradhane - intense worship, pratyaksa - as directly visible, anumanabhyam - as inferred from scripture). Dvaita schools argue against the Advaita idea that upon attaining liberation one realizes that God is formless since this idea is contradicted by Vedanta Sutra 3.2.16 - aha ca tanmatram: 'The scriptures declare that the form of the Supreme consists of the very essence of His Self'. And furthermore Vedanta Sutra 3.3.36 asserts that within the realm of Brahman the devotees see other divine manifestations which appear even as physical objects in a city (antara bhuta gramavat svatmanah: antara - inside, bhuta - physical, gramavat - like a city, svatmanah - to His own, i.e. to His devotees). They identify the personal form of God indicated here as the transcendental form of Vishnu or Krishna (see Vaishnavism). The brahma-pura (city within Brahman) is identified as the divine realm of Vishnu known as Vaikuntha. This conclusion is corroborated by the Bhagavata Purana, written by Vyasa as his own 'natural commentary' on Vedanta-sutra. The first verse of Bhagavata Purana begins with the phrase om namo bhagavate vasudevaya janmadyasya yatah, which means, 'I offer my respectful obeisances to Bhagavan Vasudeva, the source of everything'. Vyasa employs the words janmadyasya yatah, which comprise the second sutra of the Vedanta Sutra, in the first verse of the Bhagavata Purana to establish that Krishna is Brahman, the Absolute Truth. This is clear testimony of the author's own conclusion about the ultimate goal of all Vedic knowledge.